If you suffer from neck or lower back pain, you have one of the most common conditions that chiropractors treat. Sometimes that pain even travels down the arm or leg. Research has shown that upper cervical chiropractic care can help reduce this pain, allowing patients to return to the activities they love. Your neck and lower back pain could be a constant ache or soreness, but it could also grow so intense that it incapacitates you. If you suffer from sciatica, the lower back pain has traveled down to your leg. These conditions make simple physical activities like sitting, standing, or bending a challenge. It can force you to skip your favorite activities, especially if you enjoy time outdoors. When the top two neck bones—known as the upper cervical spine—are injured or misaligned, that condition can have far-reaching effects on your entire spine. The neck has an intricate set of sensors that maintains not only the head’s balance and stability, but also the proper posture and alignment of the spine as a whole. As the sensors constantly monitor head position, they help the brain adjust the lower spine to keep the head upright at all times. 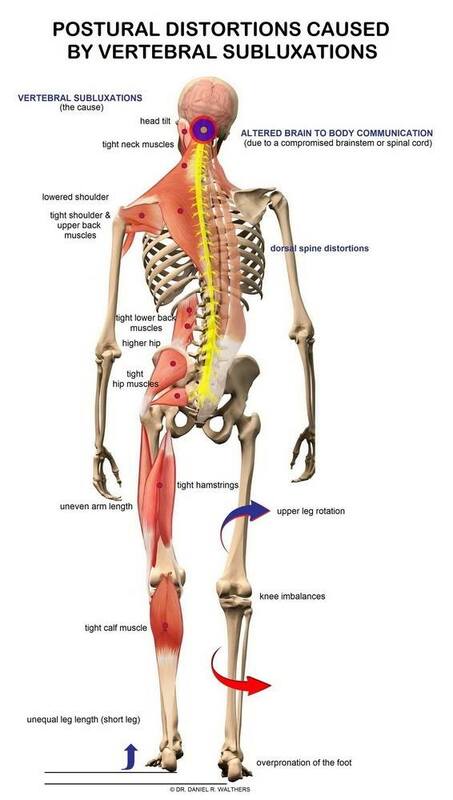 This is how the spine works and moves as one continuous unit. When you have an upper cervical spine injury or misalignment, your body tries to compensate for this so you can continue to function physically. The compensation may involve a slight tilt or turn of your head, a high shoulder, or an elevated hip that seems to shorten your leg. Over time, however, these compensations become chronic stressors that cause neck pain, lower back pain, or both. If the compensations directly irritate the surrounding nerves, the pain can extend into your arm or leg. Upper cervical chiropractic care is designed to align your head with your neck. The treatments remove the stress and irritation to your nervous system so your body can, over time, erase the postural compensations that can cause neck and lower back pain and sciatica. Thrive Head & Spinal Care offers this gentle care with no twisting, cracking, or popping of the neck. Our approach brings math, physics, and engineering principles to restore your normal position and function. We perform pre- and post-correction tests to make sure your nervous system has improved and your body can heal. Don’t let this pain prevent you from enjoying life! Our mission is to provide the best upper cervical care in San Antonio, TX with fewer follow-up visits. Dr. Dutson sees you as a person, not as a condition. He wants to help you enjoy your life to the fullest and thrive. Schedule your consultation today.